Tony Takitani, I’ll admit, isn’t one of my favorite short stories by Haruki Murakami. I find the main protagonist, Tony, too dull and one-dimensional to care very much about. And it’s not like there’s a whole lot going on in the plot to begin with. The real focus of the work, in my opinion, should’ve been Tony’s father, Shozaburo. Before conceiving Tony, Shozaburo Takitani spent years in Shanghai playing trombone at jazz clubs during what many refer to as the city’s golden era. Though Shozaburo’s adventures in China take up no more than a couple of pages at the beginning of the story, I couldn’t help but recall this relatively obscure Murakami character during my recent visit to the city. And despite Shanghai’s rapid expansion and development over the last couple of decades, I was also surprised to see just how many remnants of its 1920’s and ’30’s heyday still remain. Shanghai was China’s, if not all of Asia’s, most cosmopolitan city of the 1920’s and ’30’s. That’s pretty remarkable considering that it wasn’t much more than a fishing village less than one hundred years prior. Following the Opium War in the 1860’s, the city was designated as a treaty port by the British, and was soon divided up into foreign concessions. The Chinese government also continued to grant more sections of the city to foreign powers in exchange for political favors. The main concessions were controlled by the British, Americans and French, thus turning Shanghai into a melting pot of East and West. By the time the jazz age of the 1920’s rolled around, the city had not only transformed itself from small fishing village to bustling trade port, but it also earned a reputation as ‘the place to be’ for entertainment lovers, gamblers and thrill-seekers. Though the Communist revolution eventually put a halt to Shanghai’s hedonistic ways, even banning jazz music altogether for a time, the old foreign concessions of Shanghai still maintain their distinct atmosphere to this day. Largely inspired by Western architecture, Shikumen houses are made of brick and are typically two-stories high. Furthermore, Shikumen houses on a single block are all linked to one another. Before the advent of high-rises, this construction style allowed lots of people to live together in small areas while still maintaining their privacy. During the jazz age, it’s even believed that half or more of the city’s population lived in a Shikumen, so it’s not farfetched to think that Shozaburo Takitani lived in one as well. In fact, Shikumen residences are still being lived in today. 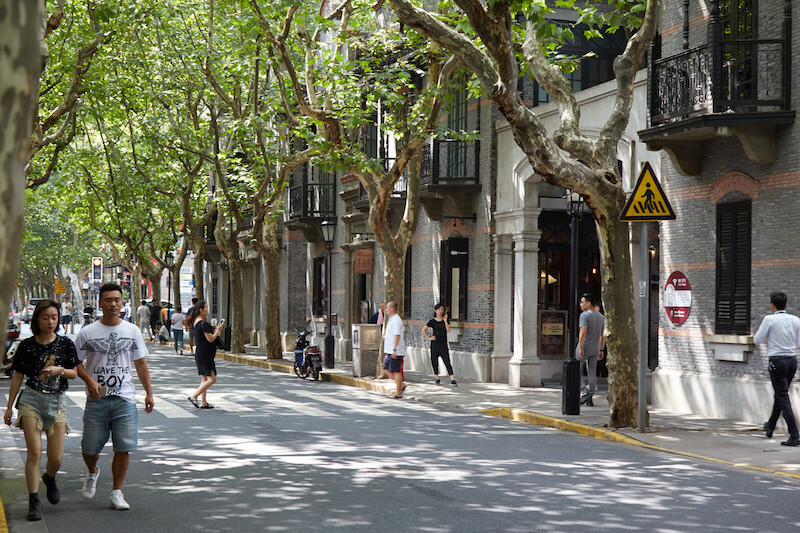 And there’s no better place to see some than the Xintiandi neighborhood which was once part of the French concession. 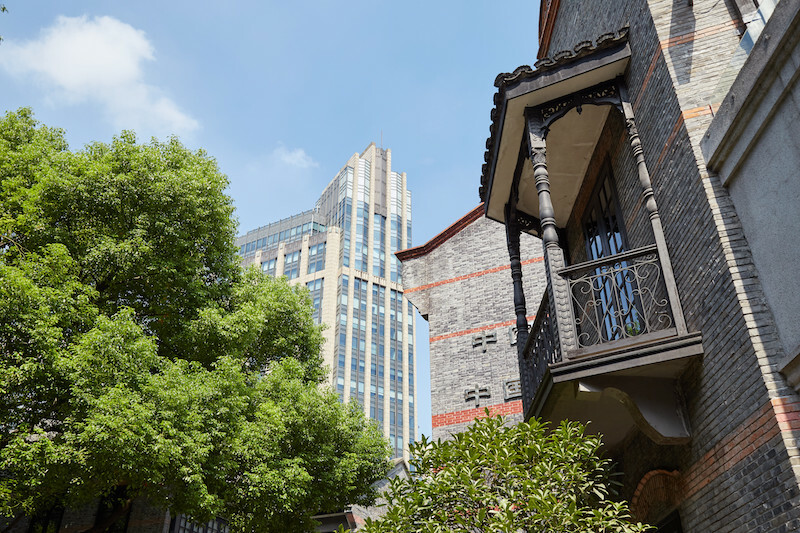 Though Shikumen houses used to be considered low-budget housing, Xintiandi is now regarded as one of Shanghai’s most posh districts. Many of the old residences have been turned into fancy restaurants and shops, while developers have also been constructing new Shikumen style buildings to match the old 1920’s feel. During my visit to Xintiandi, I happened to come across a Shikumen Museum which let’s visitors see how people used to live in them. Inside, I discovered something which seemed straight out of a Murakami novel. The rooms at the turn of the staircase in between floors of a Shikumen residence were often rented out by families for extra income. Referred to as ‘Tingzijian,’ these rooms were known to get especially cold in winter and hot in summer. The cheap rent of these rooms attracted tons of aspiring writers and artists who were moving to Shanghai in the ’20’s and ’30’s with big dreams. Apparently, many famous Chinese novels have been written in Tingzijian rooms, and a unique genre referred to as “Tingzijian Literature” even emerged! While there, I could easily picture one of Murakami’s novelist characters, such as a young Tengo from 1Q84, feeling at home in such a space. 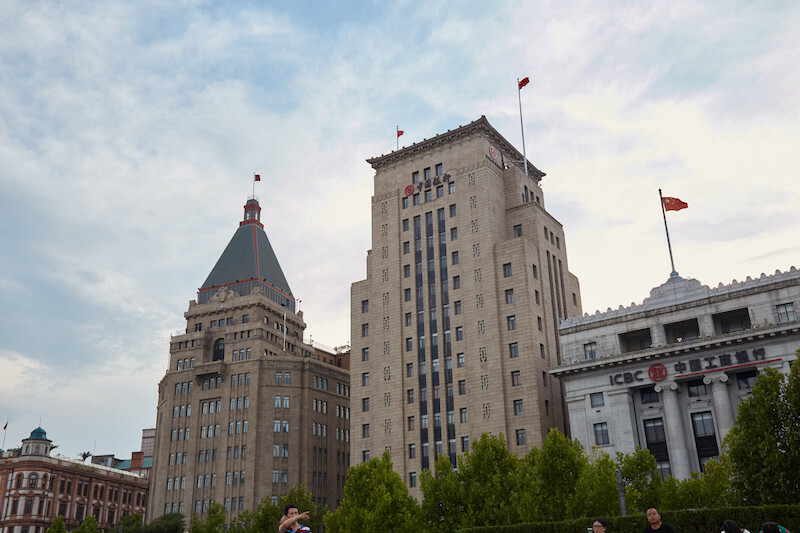 No visit to Shanghai is complete without a walk down the Bund, or the waterfront area that’s home to some of the city’s most iconic architecture. This was most likely Shozaburo’s first impression of the city, and it’s where many of the trading houses and banks were built during Shanghai’s emergence as an economic power. Today, the look and atmosphere of the waterfront remain largely the same, and even new developments on this side of the river take on the style of the original buildings. One of the most interesting things about walking down the Bund is the complete contrast from the view just across the river of the Pudong area. Pudong is Shanghai’s modern skyscraper district, home to such monolithic structures as the Oriental Pearl Tower and the Shanghai Tower, currently the second-highest building in the world. The Bund also features nightly performances that should be of special interest to Tony Takitani fans or jazz lovers in general. The first floor of the Fairmont Peace Hotel is host to nightly live band sessions which specialize in the 1930’s-era style of jazz from Shozaburo’s era. Unfortunately, I didn’t get the chance to witness a performance while I was there. As I was staying in the nearby city of Hangzhou rather than Shanghai itself, I couldn’t see a show and still make the last train back to my hotel in time. But if you find yourself with a free night in Shanghai then you may want to add the Fairmont Peace Hotel to your list. Overall, I was very impressed with the city of Shanghai – especially with how well its older districts have been maintained, even amongst the nonstop development taking place all around them. I’m curious as to whether Murakami will ever choose Shanghai again as a setting for one of his short stories or novels. Now having had the chance to visit the city, I’d love to see it again through the eyes of one of his characters. Until then, I may just have to pick one of those Tingzijian novels to see what they’re all about. Tony Takitani isn’t the only Murakami work of fiction that mentions China. The most notable is perhaps The Wind-Up Bird Chronicle, which features a detailed retelling of Lieutenant Mamiya’s experiences in wartime Manchuria. Mamiya was sent to a city called Hsin-Ching, which is now known as Changchun in the country’s far northeast. Wartime Manchuria is also discussed in A Wild Sheep Chase, as it’s where the Sheep Professor had his life-changing encounter. Shanghai itself is also mentioned briefly in Murakami’s first book, Hear The Wind Sing. At the beginning of the novel, the protagonist mentions that his uncle died there, but that’s the last we ever hear of Shanghai or the uncle. In After Dark, Mari tells Takahashi that she’s going to Beijing to be an exchange student. It’s also mentioned earlier that Mari speaks conversational Chinese. Finally, the short story A Slow Boat to China (The Elephant Vanishes compilation) is all about people of Chinese descent living in Japan and the narrator’s own dreams of China, although no character actually visits China over the course of the story. For those of you asking if there was a digital version of The Murakami Pilgrimage available, you shouldn’t have to wait too much longer! For the time being, though, I’ve scrapped plans to release a typical ePub or MOBI (Kindle) version of the book. Everyone is walking around with different-sized devices these days. When it comes to something with lots of photos and colors like a travel guide, the standard eBook formats are either too restrictive in terms of design or simply can’t adapt well to different screen sizes. Therefore, I’ve decided to try out something a little different. I’m building a new version of The Murakami Pilgrimage from the ground up that will automatically adapt to desktop, tablet and mobile screens in an easy-to-read display. That means that you’ll be able to get all the content and photos that made up the original paperback version right on your smartphone and tablet as you walk around Tokyo. Furthermore, when new chapters eventually get created for more recent Murakami novels like ‘Killing Commendatore,’ you’ll get access to it immediately without having to download or purchase anything new. The project is not going to be available through typical retailers like Amazon, but you’ll be able to purchase it right here on this web site once it’s launched. And of course, it will go for a cheaper price than the paperback version. As this is a pretty complex project, it might take a little while longer to complete, but I’m aiming for sometime before Christmas, which happens to be a year after the physical version’s release. Stay tuned here for updates, or subscribe to the mailing list for more announcements about the project!